“Awase” is the act of matching and it was played as a game in the Heian period(794-1185) in Japan. 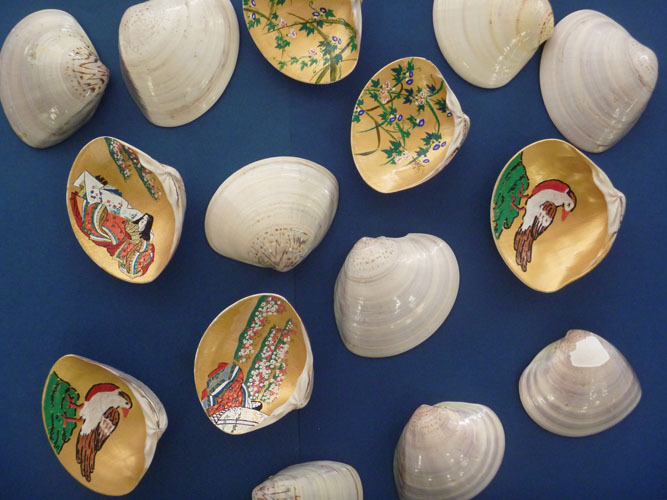 Players turned over clam shells, which all have a different drawing on them. One player picks two of them randomly and has to compare and contrast the two drawings in order to find their similarities and differences. The goal of Awase is not to merge two objects into one, but rather to enjoy the change in perception that happens when two objects are put together.